Sadly those who are too sick to work have to contend with issues of shame. 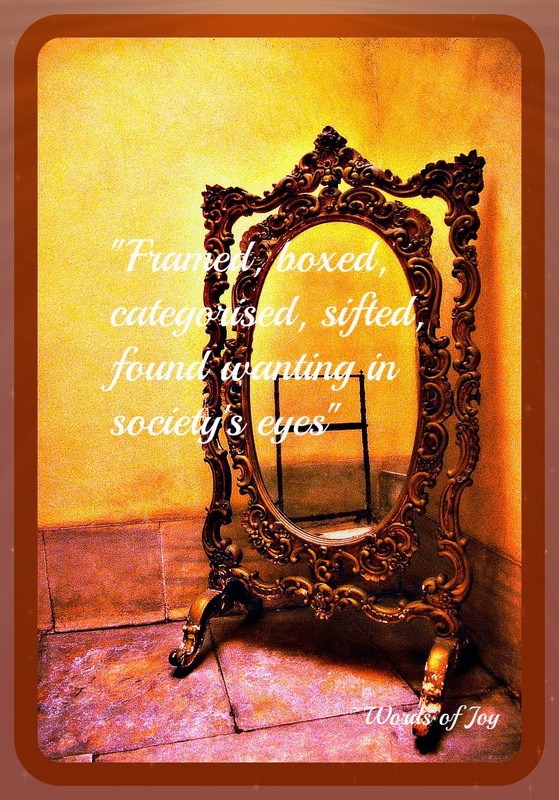 In a society where we are “framed, boxed, categorised, sifted, found wanting in society’s eyes” as I wrote about in the poem here, we experience deep frustration at being pigeon-holed and stigmatised. For instance, on the rare occasions when I am alone downstairs in the house and have to answer the door during a late morning/afternoon/evening period in my nightclothes, wearing bed-head hair, a dazed, sleepy expression and a veneer of embarrassment; I either say nothing (for such a state is normal to those who know me) or mumble something like, “Please excuse me, I’m unwell today” to those I don’t. Then I hasten to close the door as fast as possible to avoid curious stares from neighbours or passers-by who may wonder what they are seeing. I just want them to understand I am sick rather than lazy. I’d love you to come on over and read the rest at my friend Mia’s blog where I am delighted to be guest posting today..She is a fellow M.E and chronic illness sufferer and a beautiful person with a heart to help others who are struggling. Knowing all to well the words you penned here about certain times of the day, I can relate to these often. I feel I have with Gods help been able to get past many issues that we face in these situations , yet when least expected one will rise up again to be seen face to face . Stay strong and know we don't have to carry any shame , we belong to the Father and He knows all. What peoples think really doesn't matter any more so long as we have peace in our heart knowing who is watching over us, and not at us. God bless you for sharing these words with me today. Thank you again, dear sweet Joy, for being such a blessings to me, the readers and my husband this week. He enjoyed to your post so much. Thank you also for allowing our Pappa to shine His light and glory brightly through you, His faithful servant.